The project-ready 2019 Ford F-150 continues to dominate the market with its knockout performance and capability. 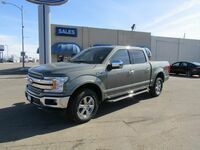 Ford offers drivers one of the most reliable pickups on the market with the 2019 F-150, available at Wolf Auto Center in Kimball, NE. The 2019 Ford F-150 is available in seven powerful trim levels – XL, XLT, Lariat, King Ranch®, Platinum, Limited, and Raptor – at a starting price of $28,155. This Ford comes equipped with a suite of elite safety features and technology features, giving drivers their best ride yet. Are you wondering just how powerful this Ford pickup is? 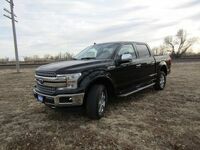 Continue reading this 2019 Ford F-150 vs 2019 Ram 1500 comparison to see how this Ford stacks up against the competition. What are the differences between the 2019 Ford F-150 and 2019 Ram 1500? Price often plays a major role when it comes to purchasing a new vehicle. 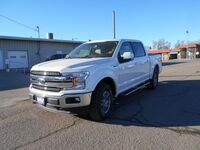 As we stated above, the 2019 Ford F-150 is available for a starting price of $28,155. 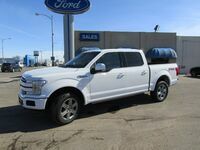 With this price, the F-150 comes equipped with a powerful 3.3-liter Ti-VCT V6 engine paired with an electronic 6-speed transmission with Tow/Haul and Sport modes. The competing 2019 Ram 1500 is powered by a 3.6-liter V6 eTorque engine paired with an 8-speed automatic transmission for a significantly higher cost of $31,795. When properly equipped with the available 3.5-liter EcoBoost® Twin-Turbo V engine, the Ford F-150 can produce 375 horsepower and 470 pound-foot of torque, allowing drivers to tow up to 13,200 pounds. With the Pro Trailer Backup Assist™ technology and a rear-view camera with Dynamic Hitch Assist, towing in the Ford F-150 is easier than ever. The competing Ram 1500 can tow a maximum of 12,750 pounds when equipped with the available 5.7-liter HEMI® V8 engine. Conquering everyday projects is made easy in the 2019 F-150 with the help of its standard and available features, like the optional box side steps and 170-degree rear door. Safety features like Pre-Collision Assist with Automatic Emergency Braking, SOS Post-Crash Alert System, and AdvanceTrac® with Roll Stability Control™ are at work during every drive to keep you safe on the road and on the job site.